Direct-mail marketing isn’t dead unless you decide not to use it. Postcards are a great way to keep your customers reminded of your business and help give it an added boost. Our full-color custom postcards do just that. 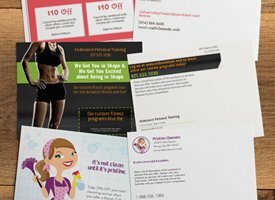 We produce top-of-the-line printing that ensures that you receive the best possible postcards at a price you can afford. We even offer to mail your postcards for you, leaving you with one less thing to do. We even have mailing lists that help you get your postcards out to the people you want. 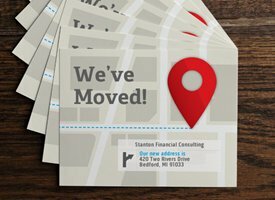 Postcards are one of the most effective and affordable options for a business. Postcards work in every industry and can be used for business to consumer or even business to business. A postcard is a quick, easy, and efficient way to share important information. They’re popular because they are simple to create and inexpensive to print. Postcards stand out and so will you. 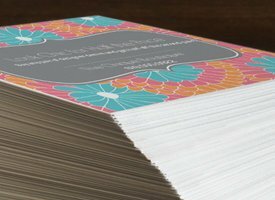 Our postcards start at the standard 5.5″ x 4.2″ size but we offer other sizes as well including our “Jumbo” postcards that are nearly double in size but are still compatible with our door-to-door services from the USPS. Maximize the back of your postcard: Add a message or coupon, or just make a statement. We’ll print, address and mail your postcards for you. Save time and money!